THE WORLD'S largest technology show ground to a halt for more than two hours today when a blackout plunged some of its biggest showpieces into darkness, causing evacuations, huge queues, and mass frustration. 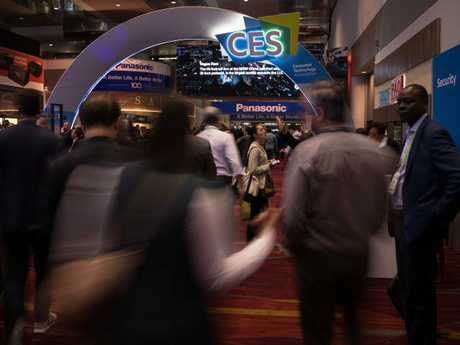 The Consumer Electronics Show lost its electrics shortly after 6am AEDT time, during the show's busiest hours, shutting down parts of the Las Vegas Convention Centre, including Central Hall where the show's biggest exhibits are located. Multimillion-dollar installations from technology giants including Samsung, LG, Nikon, Panasonic, GoPro, Canon, Hisense, and Intel all fell dark, leaving crowds of people reaching for their mobile phones to light the way out. While attendees were initially told to wait 15 minutes for lights to turn back on, thousands of guests were evacuated from the hall when the electricity failed to return. In a joint statement the Las Vegas Visitor and Convention Authority, NV Energy and Consumer Technology Association (CTA), said condensation from yesterday's rain was what led to the outage. "Today at approximately 11:15 AM, the Central Hall and South Hall bridge meeting rooms at the Las Vegas Convention Center lost power. Power in the South Hall was restored within minutes, and power has now been fully restored to all areas. "A preliminary assessment indicates that condensation from heavy rainfall caused a flashover on one of the facility's transformers. We are grateful to NV Energy for their swift assistance, to our customers and their clients for their patience and to the staff for ensuring the safety and security of all attendees and exhibitors," the statement read. Not all technology at the show immediately came back to life, however. LG's formerly impressive Grand Canyon-style flexible OLED television installation did not reboot well, with many screens unable to receive a signal and others dimmed. 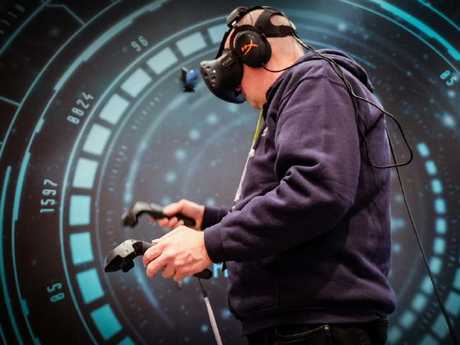 The Consumer Electronics Show is due to continue until Saturday. 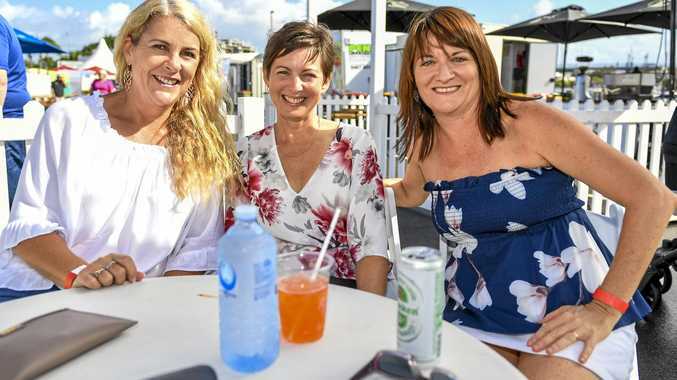 The blackout sparked lots of funny reactions on social media. Jennifer Dudley-Nicholson travelled to Las Vegas as a guest of Samsung.